We have a strong and healthy real estate market functioning on all cylinders this year. We are off to a very good start and expect a good year of plenty. Sellers have the advantage but buyers in our area have more and better choices than closer into Portland proper. The challenging issue, even in our area now, is that the inventory is dramatically lower than ever before. Since the end of the ‘dark years’ everyone who needed to sell, wanted to sell, and all coming into the marketplace have done so already. The number of listings is way down. 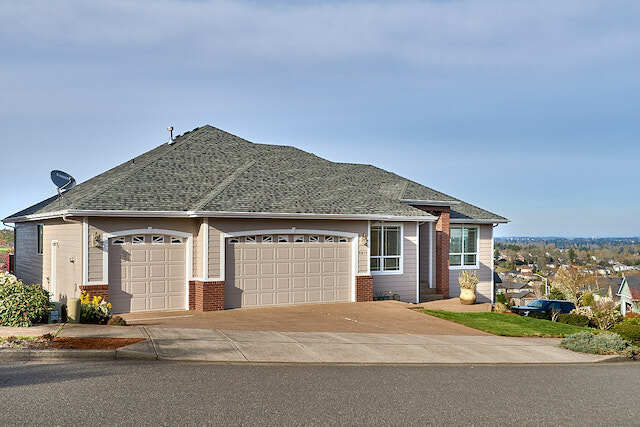 Oregon and Portland in particularly, is growing very rapidly and there are not enough properties to go around for all the new buyers in our area. This leads to intense demand, multiple offers, and rapidly escalating pricing (most notably in Portland). In our area where buyers are exploring to find more and better options, we also do not have enough to sell. It will take significant expansion of new construction to meet the new demands. We have noted that interest rates have been rising and hit 4.5% for a 30 year fixed loan. Since that report, rates have dropped some to about 4.25%. However, within the past two weeks the Federal Reserve decided to raise the short term bank interest rate by a ¼ point. While not necessarily connected to the bond rates (which include long term mortgage rates) they often portend increases to all rates. Mortgage rates are most sensitive to inflation because inflation erodes value over the long term which includes mortgages (15 or 30 years). As the economy heats up, keep your eyes on inflation; that will stimulate higher rates attempting to balance out losses to inflation. For now, it is an exceptionally good time to buy. Bella Casa Real Estate Group and our agents are doing well. We are eager to grow our business to assist many newer agents, and to help our veteran agents expand their practices. We are grateful for any and all referrals from friends, colleagues, past clients, and neighbors. Our values never changed during the dark years and we will not be careless with them in the busy years. We are subject to real estate law, bound to a code of ethics, and proud of our exceptional personal services which have built a stellar reputation for us in our industry. While we work hard, we are grateful for your gracious trust and commendations.